BAA Training, global aviation training provider, launches a new programme – Job Preparation training for pilots and cabin crew – in partnership with consultancy company Pinstripe Solutions from Australia. Collaboration with Pinstripe Solutions helps to develop training tailored to maximize crew’s preparation for a job interview in the aviation marketplace. Student documentation; whether it meets professional standards, and represents a person well. Student presentation skills or grooming; this is particularly important at the video interview and assessment day stage. Student understanding of the airline assessment process. Student understanding of the SOPs (Standard Operating Procedures) for giving great examples and ensuring a person selects the right examples. Teaching how to manage group exercises well. “We have a terrific relationship with our students. For nearly 20 years our candidates have progressed to chief pilot positions, check and training positions, wide body jet captains and are on various recruitment teams for over 44 airlines. They keep in touch with us. This has developed a network of pilots around the world, which provides us with a specific insight into what a particular airline is planning for the future,” Kirsty Ferguson, Pinstripe Solutions Founder. 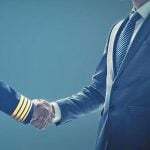 The role of BAA Training along with Pinstripe Solutions is to provide a one-stop shop to ensure pilots and cabin crew are ready to succeed during the airline assessment process. Video interviews are updated, inside airline knowledge is updated and base for training is reviewed every Friday so that all coaches of Pinstripe Solutions are 100% acquainted with the most recent developments. “BAA Training expands the list of services in face of market demand. The airline assessment process is endurance, determination and courage consuming process. Emotions can cause problems even for the best. 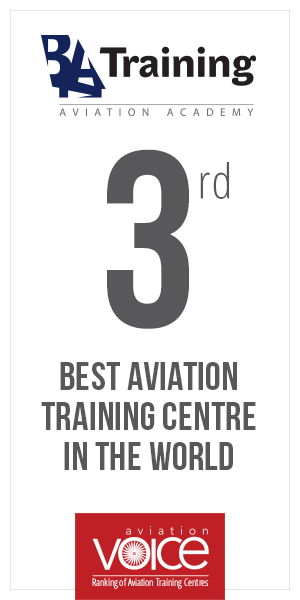 We are always searching for new and more efficient ways to improve aviation training programmes. I am sure that the new project will be beneficial for many pilots and crew members,” summarizes Egle Vaitkeviciute, CEO at BAA Training.